Just a reminder for you folks in the Central Oklahoma area... 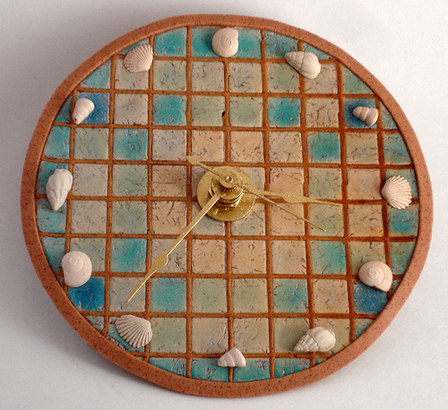 I would love for you to come to my Polymer Clay Clocks class next Sunday, September 27, 2009. The class is part of Deluxe Craft Weekend, where you can come and craft all weekend, take classes, and have all your meals catered. Sign up for the whole weekend — or just the specific classes you're interested in — here. You can see more sample clocks here. Details on the Polymer Clay Clocks class I'm teaching at Deluxe Craft Weened on September 27th, 2009.